The U.S. Army is partnering with Harvard University in a joint research agreement that could lead to enhanced protection for military, law enforcement, and first responder personnel exposed to ballistic threats in the line of duty. A first phase of work under the agreement will evaluate the performance of Harvard-developed nanofiber materials during a ballistic impact event, such as blast fragmentation and small arms fire. For the U.S. Army, this could lead to the development of innovative materiel and enhanced capabilities which improve the combat readiness, performance, and protection of Soldiers. 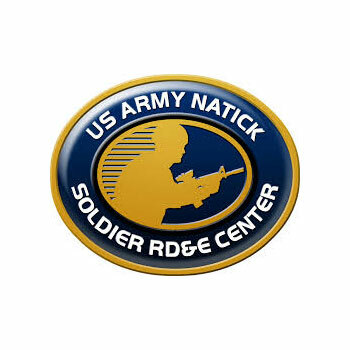 The partnership was formally established on January 9, 2018, when the U.S. Army Natick Soldier Research, Development and Engineering Center (NSRDEC), Harvard University and the Harvard John A. Paulson School of Engineering and Applied Sciences (Harvard Engineering), signed a Master Cooperative Research and Development Agreement, or CRADA, designed to leverage the respective expertise and resources of both organizations, streamline collaborations, and strengthen their relationship in order to engage with one another in diverse areas of mutual interest. Under the first Statement of Work, or SOW, signed concurrently with the Master CRADA, Harvard Engineering will manufacture nanofiber sheets and control materials for ballistic impact testing and evaluations by NSRDEC. Both parties will assess whether such in-development nanofiber sheets can better absorb energy in a ballistic impact event, as compared to control materials. The research will be carried out collaboratively, with subject matter experts from both organizations working together in laboratory facilities located in close proximity to one another at Harvard Engineering in Cambridge, Massachusetts and at NSRDEC in Natick, Massachusetts. “Utilizing NSRDEC’s long-standing expertise in fibers and ballistic impact protection, we plan to demonstrate how improved fiber toughness translates into greater ballistic impact protection,” said Fossey. A CRADA is a formal written agreement between federal laboratories and non-federal parties under which the U.S. Government provides personnel, services, facilities, equipment, intellectual property, or other resources toward specified research or development efforts which are consistent with the missions of each party involved. CRADAs are critical tools used to transfer the results of federally funded research and development to the private sector to expedite commercialization of technology. The NSRDEC also has CRADA partnerships with the University of Massachusetts, Lowell and The Charles Stark Draper Laboratory and maintains important research partnerships with several other academic institutions in the Boston area, including the Massachusetts Institute of Technology, and Tufts University, where NSRDEC and the Tufts University School of Engineering co-direct the Center for Applied Brain and Cognitive Sciences. The Master CRADA sets forth overarching business and legal terms governing prospective research collaborations between the organizations, and provides individual teams in each of NSRDEC’s execution directorates with the means to initiate new research projects with Harvard Engineering simply through the execution of a SOW, to be attached to the Master CRADA. The intent is to expand the organizations’ relationship under the Master CRADA by attaching additional SOWs to pursue more research opportunities of mutual interest. "We are excited to work with NSRDEC and learn from their core competencies that transform scientific innovations into products for the warfighter,” said Dr. Kit Parker, the Tarr Family Professor of Bioengineering and Applied Physics and technical lead at Harvard Engineering, who also serves as a lieutenant colonel in the U.S. Army Reserve Support Command’s Detachment 8. “Not only will this research partnership transition our discoveries to the battlefield faster, but will help train the next generation of defense scientists and engineers here at Harvard."